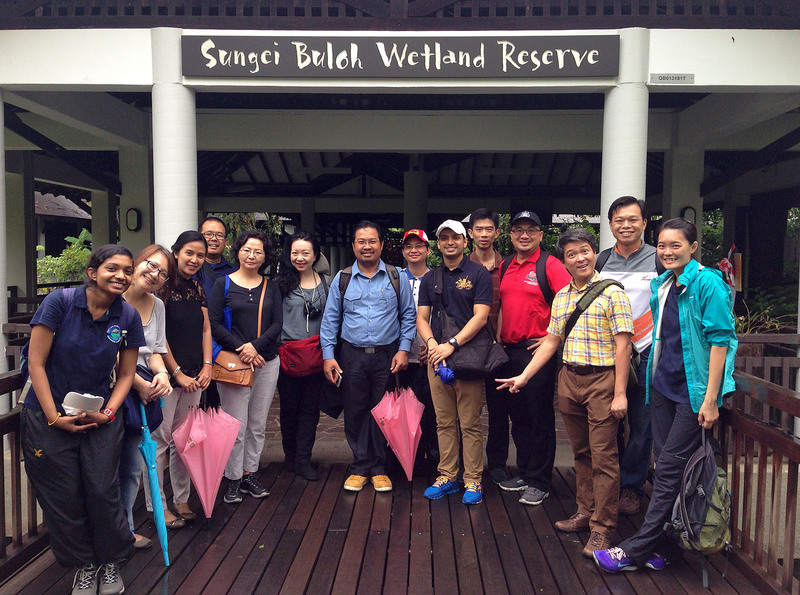 The outreach and education team of the Lee Kong Chian Natural History Museum had the privileged of hosting a group of health leaders from various countries. The participants were in Singapore for the 2015 NUS Initiative to Improve Health in Asia (NIHA) Leadership Development Program. Biodiversity and ecology play an important role not only in the natural sciences but also in health science. 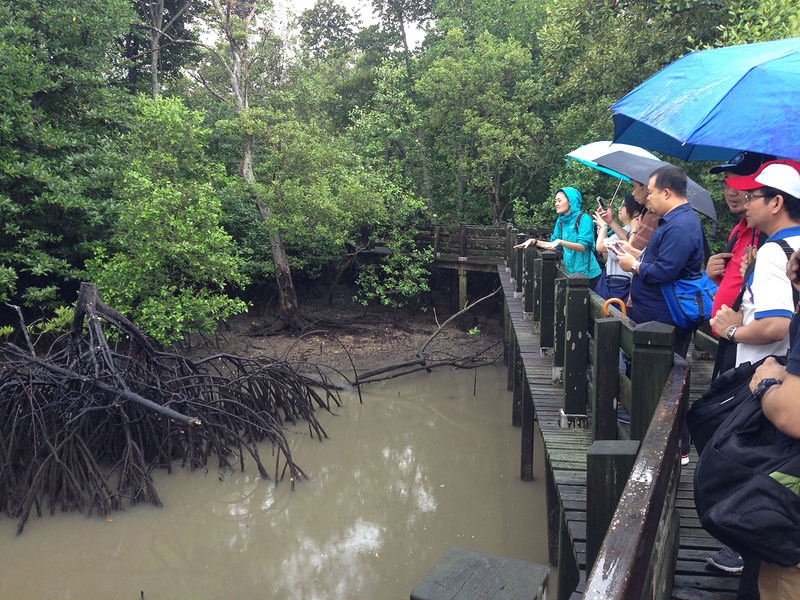 Our outreach and education team took this opportunity to showcase the wild side of Singapore to our foreign friends at Sungei Buloh Wetland Reserve. With health science being the theme of this specially customised guided walk, we covered topics such as zoonoses, the potential role of migratory birds and other animals in the transmission of diseases, medical properties found in our plants, as well as the role of nature in promoting one’s physical, mental, and emotional well-being. Even the intermittent showers did not dampen our spirits. Photo by Marcus Chua. Here are our participants, healthier and happier, after the nature walk. Photo by Marcus Chua. If you too would like to customise a special programme for your group, please contact us at nhmlearning@nus.edu.sg. You can also find out more about our outreach and education programmes on our website.